Today we completed our “Five Peak Challenge”. 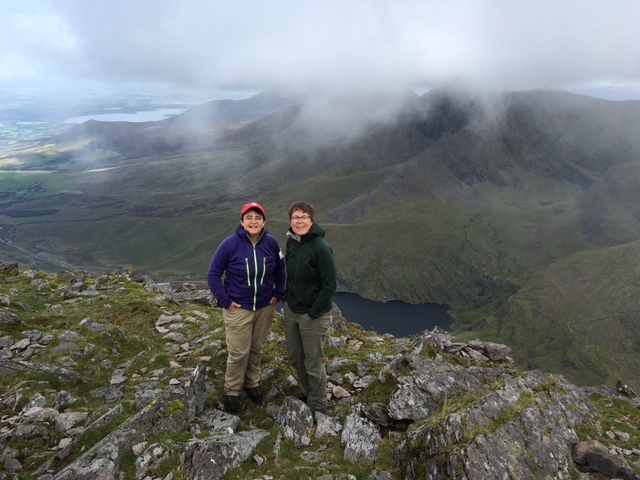 We climbed to the highest peak of each country of the United Kingdom and Ireland. It’s been an awesome trip of climbing and road tripping. We’ve climbed the equivalent of about 35 Signal Hills and driven about 4200 kilometres! More soon! The picture above is from Carrontoohil, Ireland’s highest peaks do our fifth of the Five Peak Challenge. This entry was posted in Life and tagged Highest Point, Ireland, UK. Bookmark the permalink. Congratulations, TA. Job well done!